Hemet Community Medical Group, Inc.
HCMG, formed in 1993, is one of the largest independent physician association (“IPA”) in the state of California. HCMG and its affiliates provide care for over 70,000 managed care patients in Hemet, Menifee, Sun City, Wildomar, Temecula, Murrietta, Corona and surrounding areas. HCMG represents over 125 primary care physicians and over 900 specialists who provide medical services in Southern California. MVCMG is an independent physician association (IPA), formed in 1997, of primary care physicians providing services in the Menifee, CA service area. MVCMG has entered into a long term exclusive contract to provide medical services to HCMG’s patients. TVPMG is an independent physician association (IPA), formed in 2001, of primary care physicians providing services in the Temecula, CA service area. TVPMG has entered into a long term exclusive contract to provide medical services to HCMG’s patients. HGS provides physician practice management services to Hemet Community Medical Group and Menifee Valley Community Medical Group since 1997. KM is a management services organization formed in 2000 that provides subcontracted physician practice management services to Hemet Global Services, LLC and Temecula Physician Services, LLC. 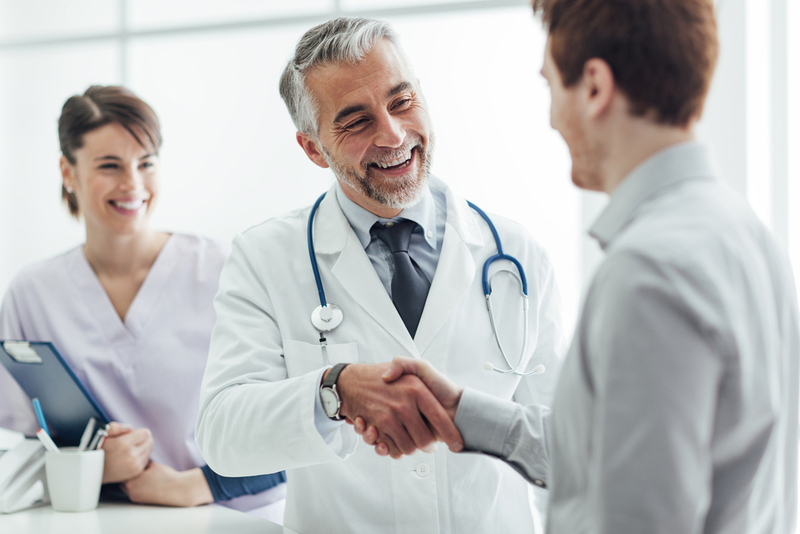 KM provides a full menu of physician practice management services, including facilities, billing, credentialing, utilization management, quality improvement, claims payment, eligibility, contracting, capitation, provider relations, case management and customer service. KM has received top ratings from the leading health plans for financial stability, efficient service and legal compliance. KM utilizes state of the art information technology to capture data, bill, collect payments, produce electronic medical records and distribute payments from the health plans to the various providers (eg: medical groups, independent physicians). Temecula Physician Services is a management services organization that provides physician practice management services to Temecula Valley Physicians Medical Group since 2004.